Punk Celebrity and Disney’s Frozen fan Chris Farren may not be ‘ready for Christmas’, but he will be releasing a Christmas album today (December 2). 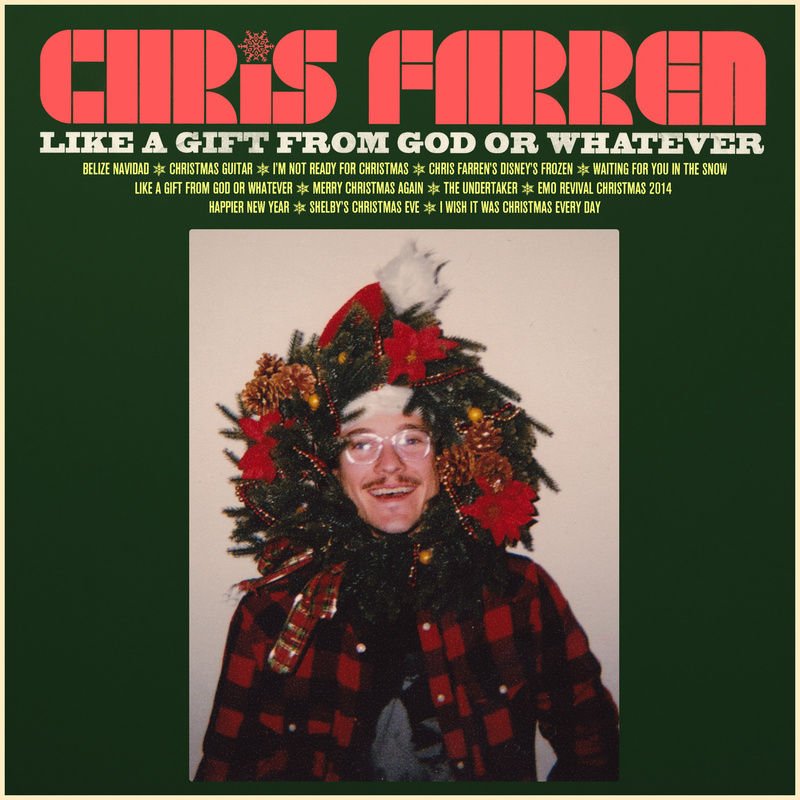 “Like A Gift From God or Whatever” contains all Farren originals. Stream “I’m Not Ready For Christmas”, featuring TV serie Arrested Development actress Mae Whitman, after the jump. Farren wrote and recorded the album while touring, and thus had the chance to have lots of guest musicians perform on his new record. Amongst the guests are Jeff Rosenstock (Bomb The Music Industry!/Antarctigo Vespucci), Sean Bonnette (Andrew Jackson Jihad), Koji, Jenny Owen Youngs and Allison Weiss. For a track by track commentary on his original Christmas songs, please visit Noisey. From all December purchases of “Like A Gift From God or Whatever”, a portion of the proceeds will go to the National Alliance on Mental Illness (NAMI). This entry was posted on Tuesday, December 2nd, 2014 at 2:49 AM	and tagged with Allison Weiss, Andrew Jackson Jihad, Antarctigo Vespucci, Chris Farren, Christmas album, I'm Not Ready For Christmas, Jeff Rosenstock, Jenny Owen Youngs, Koji, Like A Gift From God or Whatever, Mae Whitman, Noisey, Sean Bonnette and posted in Music, News. You can follow any responses to this entry through the RSS 2.0 feed.